The Apptimize team has been hard at work and we have some exciting recent product updates to share! We’ve long prioritized third-party integrations that allow our customers to get up and running with A/B testing as quickly as possible, and we’ve recently added Firebase to the list. If you have both the Firebase and Apptimize SDKs installed, you’ll now automatically see events and user properties from Firebase show up in the Apptimize dashboard. Make sure your Apptimize SDKs are updated to 3.1.4+ for iOS and 3.2.5+ for Android in order to use the new Firebase integration. 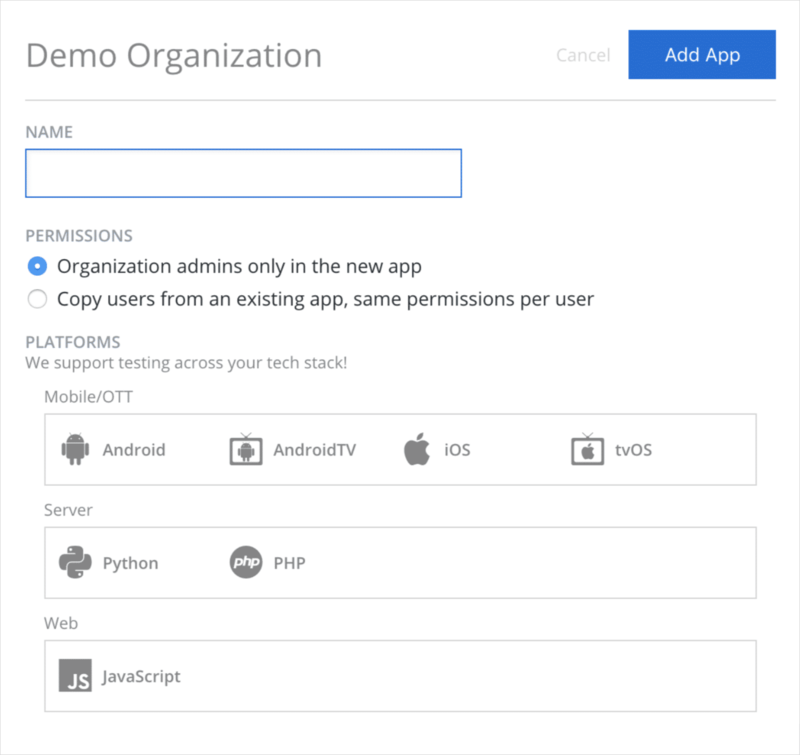 Any new apps created from the Apptimize dashboard will no longer be platform-specific. Instead, a new app can represent any of the platforms currently supported, and the same App Key can be used across multiple platforms in order to measure the entire user journey. We’ve officially launched our PHP SDK! The new SDK enables PHP users to run server-side experiments like testing different recommendation algorithms or personalized content. The server-side SDK also lets you segment tests results using user data that may not be readily available on the client device such as historical purchase data. If you’re a Python user, check out our Python SDK which was released in May. Mobile-web testing can be especially valuable for mobile teams who are trying to improve organic downloads of the native app from the mobile website. Web testing in combination with mobile ensures users see a consistent experience and are tracked through all digital touch points.